Once addiction gets it claws into your psyche, it can be incredibly difficult to let go. 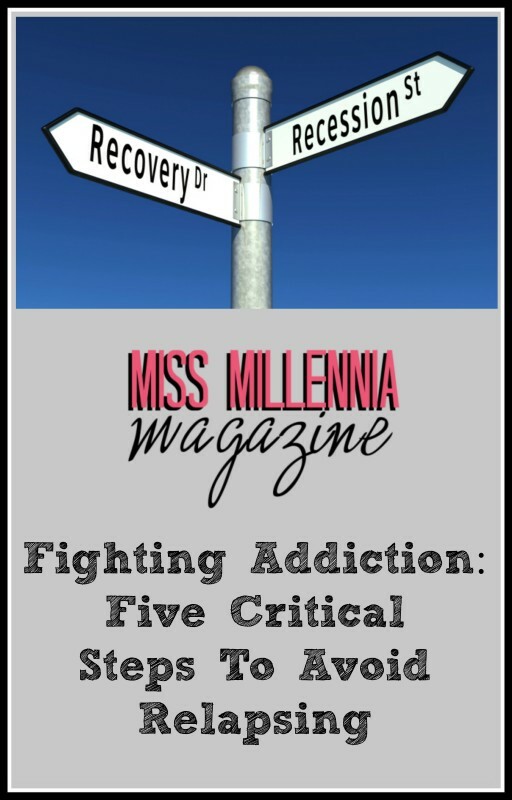 Addictions can take any form, yet they are all as destructive as each other. But, it is not impossible to get better, and once you start your road to recovery, you are well on the way to full fitness. Unfortunately the hard work doesn’t stop after the initial treatment. For the foreseeable future, you will have to battle the temptation of relapsing. Relapsing is something every addict has to avoid. Otherwise, you will put your health at risk, so avoiding temptation is literally life and death. It won’t be easy, but here are a few steps to help you stay clean. You will hear it everywhere you turn, so we might as well deal with it first. For obvious reasons, you are going to need a lot of willpower. Addiction is as much mental as it is physical, so even though your body might not crave the substance anymore, your brain will. When you do find yourself in a tricky situation, remember all the hard work it took to get to the place you are now. You can have all the willpower in the world, but you don’t want to put that to the test when it is not necessary. The amount of recovering addicts who still see the same friends and so the same things is remarkable. It is commendable that you don’t want to lose touch with your friends, and you are willing to be unselfish to do so. On the whole, however, it is silly. By all means talk to your old friends, but do it in an environment that is conducive to recovery. Maybe meet for a coffee or lunch. The great thing about your condition is that there are plenty of other people who can empathise. Why is that a good thing? Fundamentally, you can turn the negative of addiction into a positive. Use your support network to talk about addiction and how it makes you feel and how it makes you act. Talking about your problems with people who have been there is the best way to get the stress off your chest. Plus, you can learn more about addiction and how to live a clean life. After all, with experience comes knowledge. Addicts only know one way of life, which is a problem. In the grand scheme of things, that means there is a bigger chance of relapsing after getting clean. The only option left is to create a new, healthier schedule. By creating a healthy schedule your life will have a routine, and that lowers the chances of making a mistake. The busier you are, the less time you have to slip back into your old ways. Because addiction is mental, a therapist is a great way to understand why you become addicted to substances. Just ask the pros at Beachway Therapy Center who deal with addiction on a daily basis. Any expert on addiction will agree that, when you understand your addiction, you can take the necessary steps to avoid making the same mistake.